My last two blog posts (Alberta is Beekeeping and Canada’s Hive Beetles) were unseemly braggadocious pitches. I wrote about how great beekeeping is on Canada’s western prairies. Alberta, Canada, has not had CCD, but instead has increasing numbers of kept bee colonies (twice what it had in 1987, and still growing), and has production that averages around 150 pounds per hive. Winter losses have been around 10%. In my writing, I may have implied that Alberta beekeepers are universally hard-working, intelligent, god-like souls who create peppermint-scented gas after heavy meals. Granted, that perfectly describes most of us. But I should lay due credit and burnt offerings before the altar of the well-designed western prairies. Good beekeeping is a function of good location more than anything else. Alberta, a western-Canada province with 4 million people and 300,000 colonies of bees, has millions of acres of canola, alfalfa, and sweet clover. All three of these honey plants do well on Alberta’s sun-drenched alkali soils. They secrete millions of tonnes of water-white nectar, of which honey bees gather a small percentage. Alberta beekeepers produced about 43 million pounds of honey in 2015. The western prairies is a good honey place. It’s easier to be a good beekeeper when you have money from honey and can do all the best things that your bees demand – replacing older brood comb each year, requeening regularly, managing pests intelligently. In some parts of the world, beekeepers struggle to produce a crop and lack money to give their bees the time and resources they need. In Britain, for example, a colony of bees averages 30 pounds of honey a year. (A few years ago, the average was 8 pounds per hive in the isles.) You have to really, really love beekeeping to continue with bees when things are that bad. (And most British beekeepers really, really love beekeeping.) It is almost impossible to sustain a commercial business with small crops – unless you are raising queens or doing pollination. Ten years ago, I published a book called Bad Beekeeping. It’s a memoir about running a small commercial honey farm. I titled it Bad Beekeeping because I had met a Canadian beekeeper who was making enormous (200-pound) honey crops and he asked me why American beekeepers average just 60 pounds a year. I explained about the lack of good forage, cool wet summers, poor soils, weak honey flows, focus on pollination instead of honey production, and so on. When I finished, the gentleman said, “No, Ron. I’ll tell you what it is. It’s bad beekeeping. They could make big crops, too, if they were better beekeepers.” The fellow who made the remark was a good beekeeper but he was also living in a place where 200-pound honey crops are possible. Our tendency to take credit for success due largely to lucky birth and lucky circumstances is tiring and unfounded. But it’s nearly universal. Sometimes it’s useful to give credit where it’s due. Location, location, location is the oldest adage in real estate and lemonade-stand positioning. It’s certainly true in beekeeping. 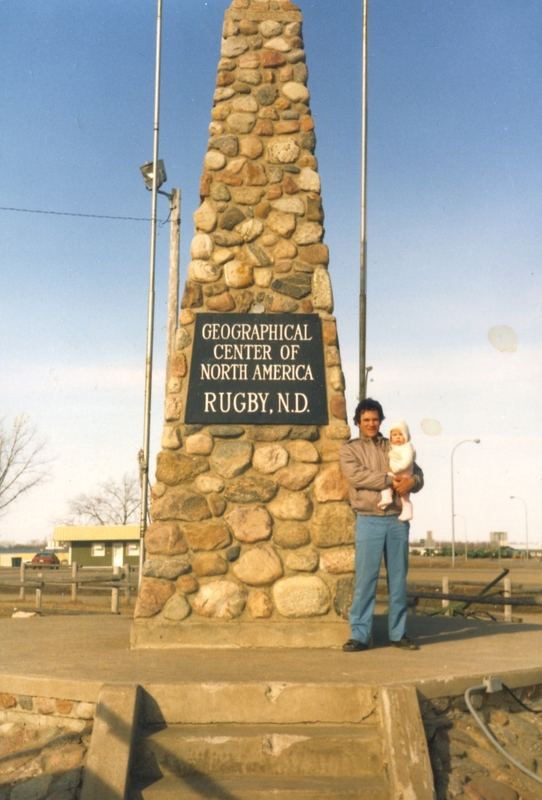 Just as it’s hard to be a deep-water fisherman if you are from Rugby, North Dakota (North America’s geographic centre) and it’s hard to learn to tame alligators in Kivalliq, Nunavut, our location influences our vocation. Western Canada’s beekeepers owe a huge debt to continental drift and mountain-building which combined to give us our perfect latitude and rich soils. Sure, we are god-like in our beekeeping skills, but it helps that in western Canada, the sun is shining on some fabulous fields of nectar. A reminder that a special bee course that I’m helping present, called “Making Money from Honey” and will be held here in Calgary on April 9th, 2016. My teaching partner, Neil Bertram, will tell students how to make money with bees while I specialize on losing money from beekeeping. (I can hopefully give cautionary tales.) It should be a good balance. Course information is here: makingmoneyfromhoney.com. The seats are filling up. If you are in the Calgary, Alberta, Canada area, consider this one-day session in the economics of beekeeping and contact us today through the course website. This entry was posted in Beekeeping, Commercial Beekeeping, Honey, Honey Plants and tagged Alberta, Bad Beekeeping, bee locations. Bookmark the permalink. Luckily I don’t do beekeeping for the honey but for the love of the bees 🙂 There are not many commercial beekeepers in the UK. Too many roads, car parks, houses and shopping centres, not enough flowers. Good point about location, but don’t over-interpret the BBKA annual honey survey. Respondents are self-selecting and last year just 7% of the membership responded. Most BBKA members are hobbyist with just a few hives, and as Emily says, are just keeping bees for fun. The commercial boys have their own Bee Farmers Association (400 members) which is rather reticent about disclosing honey crops. So are many of us hobbyists! Thanks, I appreciate your comments and I can see how the officially released numbers may not reflect the true average. For business, investment, financial, and planning purposes, the Alberta government is much more diligent about assuring that we have valid numbers – it helps to have credibility when we approach the government for help, crop insurance, etc. in poor years (we occasionally have droughts) and also to show the importance of bees and beekeepers to the general economy. Honey farm audits, inventory counts, and official censuses help. Also much Alberta honey is exported so quantities are easily tracked. Beekeepers are registered and must submit production records. These are used to aggregate the sums. Again, the purpose is to have accurate numbers to help everyone. I spent a few days among beekeepers in England and they generally complained about the small average crops. Most made up for their poor (30-pound averages, they told me) production by selling high-priced artisanal products, including pollen, propolis, and interesting wax products. I was quite impressed with their resourcefulness and enthusiasm!